It was the evening , when everyone wanted to have a wonderful time , so where to go? Conveniently surrounded by the shopping malls , Millennium Harbourview Hotel Xiamen never worries about buying something you need . There are two more big malls coming in few months . Zhongshan Road is so famous in Xiamen , it is supposed to be one of the symbols of Xiamen , Gulangyu , Lundu, Xiamen University , Botaical Garden ... . Weddings shops are very popular here , they even give free shows in Zhongshan road to catch young lovers' eyes. This is only a very small part of stroll around Millennium Harbourview Hotel Xiamen , whenever you have time, you can always find something new here . It is the eve of Christmas Eve , the Santa Claus and the angels come earlier to Millennium Harbourview Hotel Xiamen , they want to bring happiness and prospect to the hotel and the whole world. One guest in Sukara Japanese Restaurant saw the candle in one angel's hand was gone , he immediately came up to light the candle up , really touching . Please enjoy the moments of fun in the photos presented . 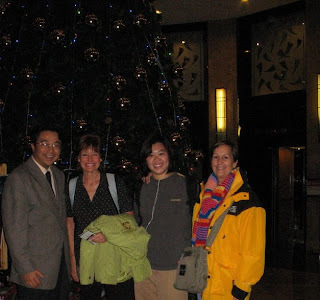 She made her effort to exchange with orient culture and enhance her hotel exprience , and made a lot of friends. Just want to say , farewell Michelle , Merry Christmas ! Merry Christmas , Judy , Judy , Judy! Sheila was back to Xiamen few days ago , she was one of the first group of people working for Millennium Harbourview Hotel Xiamen since 1991 , perfect English , attractive personality and non-forgettable smiling. People on the photos are with 15 years service to Millennium Xiamen hotel , can you imagine Sheila just be back to see us ? For her it was one of the most wonderful time in life , also we still remember Xiamen was such a nice small town and people are so friendly and you could chat with anybody residing along the street and drink tea ( Minnan Kungfu Tea) with them. As a tridition , Xiamen street is more like Singapore's style, Old Qilou buildings allowed all the residents take out their tea tables outside the door and enjoy life with everyone passing by. Time has changed , you hardly can see that ten years after , big buildings replacing all the old time dreams , people's steps being faster and faster . Good Evening , Xiamen , Good Evening , Xiamen Millennium Hotel! Night is always fascinating in Xiamen , I took a fun tour by BRT , the Bus rapid transit. To my great surprise , I was at the station of BRT and looked out and found our Millennium Harbourview Hotel Xiamen just standing there like a blue diamond . And when I walked down to the ferry, this place is really a symbol of Xiamen , it is the origin and root of Xiamen . Take a look to the other side , yes, the Gulangyu Island , YOU will find the magic of Xiamen at night. The very old harbour of Xiamen , like a piece of antique , a piece of treasure , live museum of Xiamen history . All the above offered me a great evening , to stay in Xiamen is a bliss, all these magics are around you by walk . Of course I would not forget my work , all these are pictured and show you lively! John is from Texas , has two daughters and very happy family. His wife Jennifer and he invited us for family Christmas party tonight , it was great fun. Lots of singing songs , playing with pets and special made desserts which is typical Texas. Wish the whole world with peace and love . Sue is always losing her luggage , today did it again . Upon check in , she told me again she lost her luggage in Macau or somewhere else. Last year she also stayed in Millennium Harbourview Hotel Xiamen , of course luggage lost from airflight. But she is really happy , because she knows she is home now. Sue is a professional Trainer and lecturer from US , and gave the staff from Millennium Harbourview Hotel Xiamen several classes on business communication and team work building when she was in Xiamen last time. All she did for Millennium Hotel is free , as she took it as a gift from God, ( she is a Christian ). We were moved by her passion for life and other people . She was surprised by the decoration of Chriatmas in Millennium Xiamen. And we are wishing her to get her luggage back as soon as possible. Good luck, 'Lost Luggage Sue'! 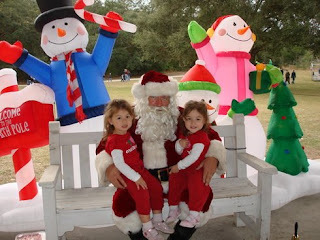 Christmas is coming up , Santa Clause is around ! What an amasing sign you can find in Millennium Harbourview Hotel Xiamen ! This is the first Christmas since its rebrand to Millennium. New lobby , New Shape , New logo, but still the old people , it is a team of 17 years of hospitality , incredible people ! Enjoy their lives in service line , hospitality genius, that's what I can say. Always hear people say , I stayed in your hotel 10 years ago , with a pride on face . Still some people call it Holiday Inn , that is one of the most popular name for the past 17 years , even Crowne Plaza was not known for most of the people . 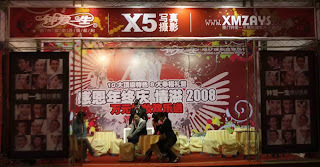 Until January 2008 , the name was changed to Millennium Harbourview Hotel Xiamen , slowly people accept the name Millennium. But Haijing is forever , there are so many stories about it , it is like a home for sure , guests and staff both enjoying ... it is hard to describe in words . It is not simply meaning luxury , modern , international , or any words, it is the feeling , people from Kings to Noble prize owners , from Religion leaders to Business Giants, but more common people found their treats in Millennium Haijing hotel. Something suits them differently , more than service , touching the heart , connection indeed. Life is like a movie , we are all actors . Hotel is like a stage , we all play it from the bottom of hearts.